I received the vintage Lifton guitar case yesterday. It arrived in good condition and very well packaged! Thank you. I particularly appreciate the slip cover to protect the faux alligator case material. The guitar case is a perfect fit for my late 1940’s Gibson L-50. The archtop guitar is very happy in it’s new home, and I am glad to find a proper hardshell case for a treasured instrument. I will email a photo of the guitar and case later this week. I look forward to doing business again in the future. The guitar is arrived. And I’m so happy, Benn! Thank you so much. The guitar was well and saved packed. And the shipping was very fast and without problems. The guitar is awesome! Really, the sound is fantastic and the optic and condition is excellent. Benn, thank you again for all. And I look forward to the next deal with you. I just got the guitar, customs were no problem! Thank you very much, the sound of this beauty is haunting and blows me away. I just played for 2 hours straight! I m in love with my new workhorse. I ll send you a pic and maybe a video with me performing with the guitar as soon as possible. In case you are interested.. Dealing with you was an absolute pleasure! Note: Claudio and his group of Swiss musicians and artists are very talented with cool concepts, all good stuff!! He sent me this audio file (recorded on an iPhone) of his rendition of Townes Van Zandt’s Colorado Girl played on the J45 I sent him. Absolutely Stunning!! Last week I came back home and put my Martin in the good looking case finally. Perfect for my guitar ! Thank you so much for your business. Yes it was as discussed so that was cool. Been using the CF100 on the road as I’m out for a few weeks. Sounds really good. Kind of big piano like with my LR Baggs Venue di. Easy on the hands too so…..sweet! > Heads up, looks like both the L00 and LG are in town and likely to be delivered early this week. > Question? Did they charge you any tax on the CF100? David Cormier is an award winning blues musician and recording artist based in Victoria BC, check him out, very cool music!! I just wanted to write to you about the 1946 Martin 00-18 that I bought from you. I’ve had it for a little over a year now I think and this one is a keeper! Every guitar I’ve tried over this year is nowhere near this little machine, there is something special about it. I also showed it to a friend, who is one of Sweden’s top luthiers and he was stunned. Before he picked it up he said he was more of a Gibson guy and never really liked the Martin sound. Well, he does now. He said it was one of the best guitars he ever played. So that was really cool for me to hear, it wasn’t just me that thought so. I’m so glad that I bought this and that the shipping went well and everything. It isn’t often that I run into someone so passionate and knowledgeable about guitars. That coupled with the southern grace of growing up in New Orleans and the laid back style of a Californian birth made for an absolutely delightful afternoon. Beautiful collection of cool guitars and a warm comfortable setting. Thanks for giving me the tour. I look forward to getting together again. 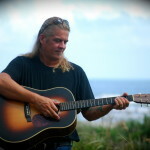 Our friend, singer – songwriter – recording artist Mark D Moore stopped in during a Florida west coast visit and we had such a fine day picking on some vintage guitars. Mark shared his talent with us on video for all to enjoy…thanks Mark! 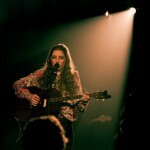 We couldn’t be more proud to see British pop singer Birdy’s music gain worldwide acclaim. Her songs have been featured in The Hunger Games and other major movies and Echo named her Female Solo Artist International for 2014. 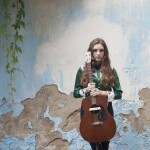 In many videos you will notice her playing a 1951 Martin 0-17T tenor guitar (acquired from Vintage Licks Guitars). 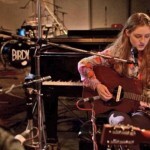 Read more about Birdy’s music including a studio performance where she plays this cool mahogany tenor. 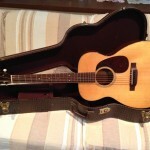 I have received the Martin 00018 of 1945 in good order. It survived the trip safe and sound. Indeed it has an enormous and beautiful sound. And as you promised a good set up. Many thanks for it and it looks like an enjoyable instrument for a very long time. Thanks for everything, good advice and everything is trustful true.